OTTAWA — Canadian defence researchers are investigating how brain signals might distinguish hostile intent from everyday emotions such as anger and fear. Though there is still much to learn, the goal is to push biometric science beyond identification techniques to a new frontier where covert security technology would secretly scan peoples’ minds to determine whether they harbour malicious intent. “This ability can be used by members of the military and the security forces to isolate adversaries prior to commission of actions,” according to a research paper posted on the federal government’s Defence Research and Development Canada website last week. The concept resembles Steven Spielberg’s 2002 sci-fi thriller Minority Report, in which police in 2054 apprehend criminals based on a foreknowledge of crimes yet to be committed. If successful in the real world, the “biometrics of intent” could, for example, help determine whether the anxious-looking man at the airport is just stressed-out or actually dangerous. Or if someone is just having a bad day at the office or really does intend to kill the boss. Intent is a tricky psychological state and difficult to differentiate from beliefs, desires and negative but routine emotions. But intent implies a person has made a preceding decision to take an action, while emotions and beliefs are often static or fleeting. “Intentions are formed at a later time point compared to beliefs and emotions, so the idea is that some level of mental effort goes into forming intentions,” says Dr. Oshin Vartanian, a scientist with the federal research arm of the defence department. How to isolate the brain physiology of intentional mental states is part of a continuing project by Vartanian and defence research colleagues Alexandra Muller-Gass and Stergios Stergiopoulos. Already, they are building a behavioral databank of test subjects’ electroencephalographic (EEG) and functional magnetic resonance imaging (FMRI) responses to viewing positive, negative and neutral pictures. (EEG is a measurement of electrical wave activity in the brain. 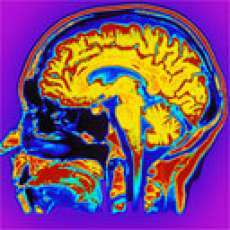 FMRI measures changes in neural blood flow.) Heart rates were also measured. By the end of the year, they hope to complete analysis of new data measuring test subjects’ responses to pictorial stimuli intended to induce anxiety-provoking emotional states. That has proven more difficult. “If you were simply looking to distinguish a negative from a positive state, we can do that quite reliably. But within negative states, say you wanted to parse anger from sadness from fear, that becomes much trickier,” says Vartanian, who specializes in cognitive neuroscience and FMRI. An ultimate research goal is to establish a databank of people’s normal psychophysiological and behavioural responses to various emotional states and use it to isolate the physiology of intentional mental states. But Vartanian and other scientists in the global field face increasingly complex challenges. One is to understand precisely how the mind distinguishes between negative emotions such as fear, anger and sadness. Vartanian believes it will be decades before the science is married with technology in the field. One early application might perhaps be to replace controversial polygraph testing. “Me and a lot of other people have been quite worried about the fact the people have become prematurely enthusiastic about the use of the this technology in the future for defensive security,” he says. “As a discipline, psychology is over 100 years old and we still don’t have very good psychological models of intentional states to then really propagate that a level higher to biological indicators of intentional states. Pressure on Portugal After New Credit Downgrade U.S. Government Blocking Americans From Obtaining Potassium Iodide?